neighbors, above you, are at it again. to a jog along its turquoise coast. is far from its climax. that smacks the front porch. the body’s tithes and offering. is a billboard for better living. insulin when their sugar spiked. I so sweet, Dad once said. I spoil! Mom’s laugh swallowed my chuckles. to its gluttony. Or worst. our cockatiels fussing for their feed. Alan King is a poet, journalist and author, who lives in the DC metropolitan area. He writes about art and domestic issues on this blog. Professionally, he’s currently both a communications specialist for a national nonprofit and a senior editor at Words Beats & Life‘s global hip hop journal. King’s journalistic experience includes him being a staff writer for the Baltimore Afro-American Newspaper, where he covered the Baltimore City Council, as well as wrote about redevelopment in east Baltimore and the displacement of its residents. He also traveled to Kingston, Jamaica, to write about the historic landmarks and covered the island’s 47th Independence Day celebration. As a student at Howard University, King traveled to New Orleans to do post-Katrina coverage as part of a student press team assembled by the university and the Washington Post. His article, “Katrina Aftermath Still Undercuts Special-Needs Housing,” was published on washingtonpost.com. That article is about the aftermath of Katrina and its effects on New Orleans residents living with HIV/AIDS. King is also an accomplished poet. Here’s what Derrick Weston Brown, poet-in-residence at the 14th and V streets Busboys and Poets, had to say: “A fixture on the D.C. MD VA scene since 1999, Alan has at one time blessed every Open Mic spot throughout the area. King’s poems have appeared in Alehouse, Audience, Boxcar Poetry Review, Indiana Review, MiPoesias and RATTLE, among others. He’s also facilitated creative writing workshops throughout the DC/Baltimore region including at Duke Ellington School of the Arts (part-time Creative Writing Instructor) and at the DC Creative Writing Workshop (part-time Senior Program Director). He is a Cave Canem Fellow, an alumnus of the VONA Workshops sponsored by Voices of Our Nations Arts Foundation, and a graduate of the Stonecoast MFA Low-Residency Program at the University of Southern Maine. He’s a two-time Pushcart Prize nominee and was also nominated twice for a Best of the Net selection. 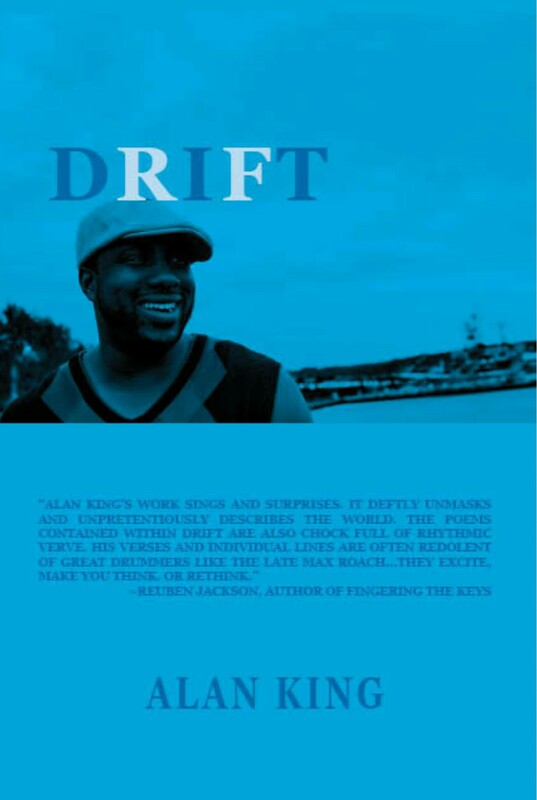 His first collection of poems Drift (Willow Books, 2012) is out. You can order it here. When he’s not reporting or sending poems to journals, you can find King chasing the muse through Washington, D.C. — people watching with his boys and laughing at the crazy things strangers say to get close to one another. Thanks, Scott! The encouraging words mean a lot. Keep pushing the pen!